Win Theatre Show Tickets & Dinner For Two! No purchase necessary. Simply submit your name and email address below to be entered In our FREE drawing. We will pick the WINNER on Friday February 1, 2019.
a romantic comedy on our main stage about hoping for a second chance at LOVE at any age. 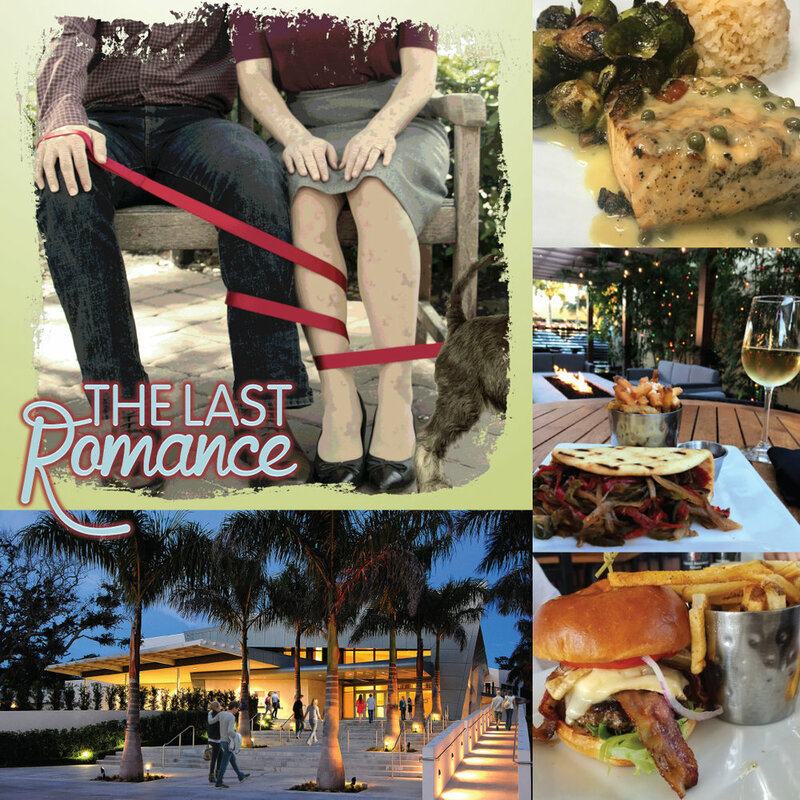 Plus… Dinner for 2 at POST & VINE in Downtown Vero Beach! Riverside Theatre will NOT share your contact information with other organizations. Thank you for entering our FREE RAFFLE, good luck! A winner will be drawn randomly on February 1, 2019 and notified by email, posted on our facebook page and website. Entries will also be automatically subscribed to Riverside Theatre Events Announcements sent to your inbox weekly. You may unsubscribe at anytime by clicking the unsubscribe link on future emails. This promotion is in no way sponsored, endorsed, administered by or associated with Facebook. Official rules of the Riverside Theatre’s Dinner & Show For Two in Feb 2019 Raffle Drawing. Riverside Theatre, Inc. (RT), a nonprofit Florida corporation, is a tax-exempt organization under state and federal laws. The official rules and regulations of the Riverside Theatre’s Dinner & Show Raffle Rules are set forth below. By submitting your email address you agree to be bound by these rules and regulations. RT’s interpretation and application of the rules and regulations shall be final. No purchase necessary. Contestants are eligible to win a prize consisting of (1) $100 Post & Vine Restaurant Gift Card and (2) Tickets for The Last Romance production produced by Riverside Theatre performed on the main stage (best availability seating beginning in Section B, C, D at Riverside Theatre). Free Raffle entry with valid email address submitted on this electronic online form earning one chance per submission, duplicate entries will be counted as one. Only the name listed on the winning slot will receive the prize. You must be 18 years of age or older, have a valid drivers' license or State issued ID card, and be a resident of the United States to win the prize. All federal, state, and local laws and regulations apply. The raffle is void where prohibited or restricted by law. The Riverside Theatre’s Dinner & Show For 2 in Feb 2019 Raffle Drawing officially begins on Thursday, January 24, 2019 at noon and ends at noon on Thursday January 31, 2019. The winner will be drawn at random from all valid entries. Drawing will take place at Riverside Theatre on Friday, February 1, 2019 and the winner will be notified by email and on Riverside Theatre’s Facebook Page, and this contest page within 72 hours of the actual draw date. All prizes offered will be awarded. No alternative prizes are available and the prize may not be exchanged for cash. The winner may be asked to participate in non-paid publicity accompanying or resulting from this draw. The name of the winner may be submitted to the Internal Revenue Service, as required by law. Prizes must be claimed and redeemed prior to the closing of the show on Feb 24, 2019. If the prize is not claimed, it will be re-entered into a future drawing. Riverside Theatre’s Contest to Win Dinner & Show for Two is proudly sponsored by Riverside Theatre, Inc.